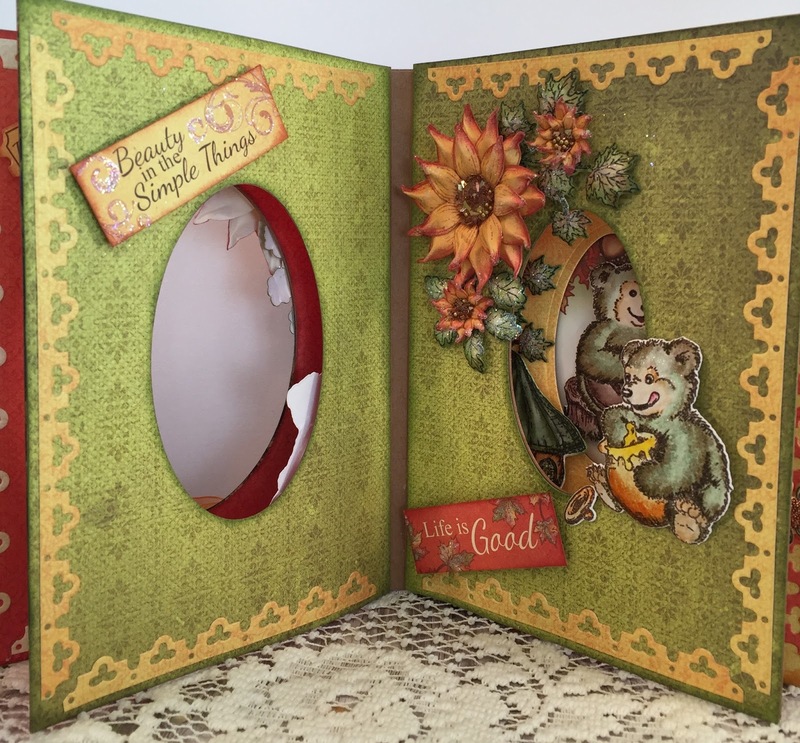 Beary Fun Retreat Collection. I absolutely love these little bears and the gorgeous colors of the beautiful Paper Collection. 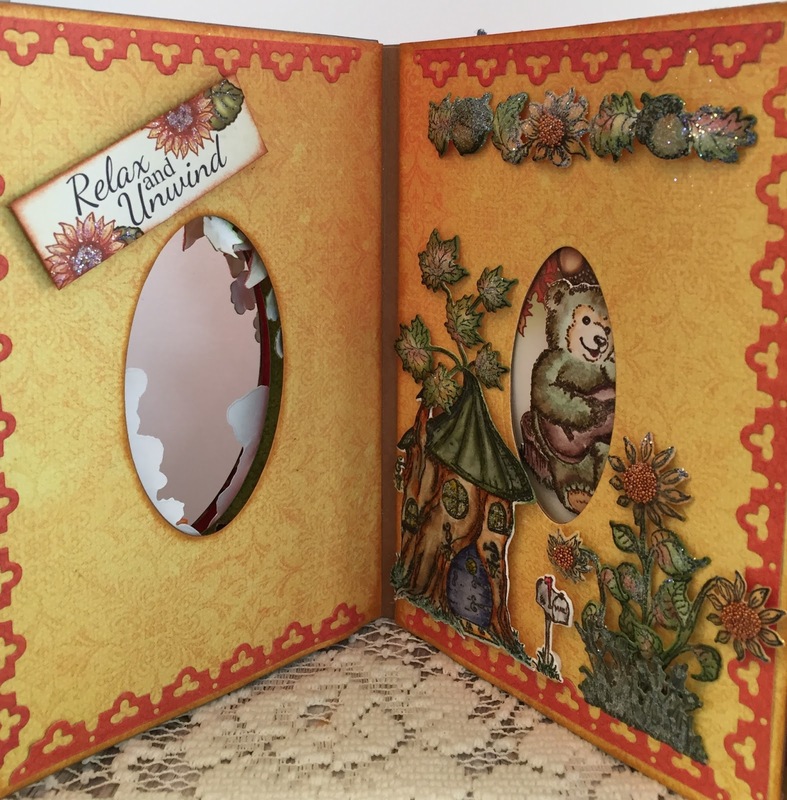 The layered cards open up a whole new world of creativity and I just love working with them. Thank you Kathy Clement for these!!! Instructions: Cut 10 coordinating papers from the paper pad 5” x 7” and one piece 7/8” x 7” for the spine and ink all of the edges. Cut the ovals in the centers of the papers using the Oval Dies following the instructions in the above video. Adhere the pages to the layered card and then adhere the designer paper. 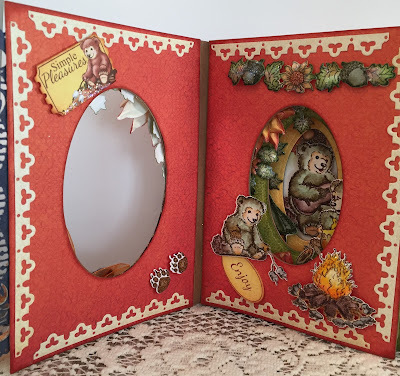 Cut an Eyelet Oval in coordinating paper to form a border around the largest oval opening. Cut the borders from the Border Essentials Die with coordinating paper and adhere on the inside pages as shown . Cut the Regal Border from the blue paper 3 times and adhere them together to create a heavier decorative accent. 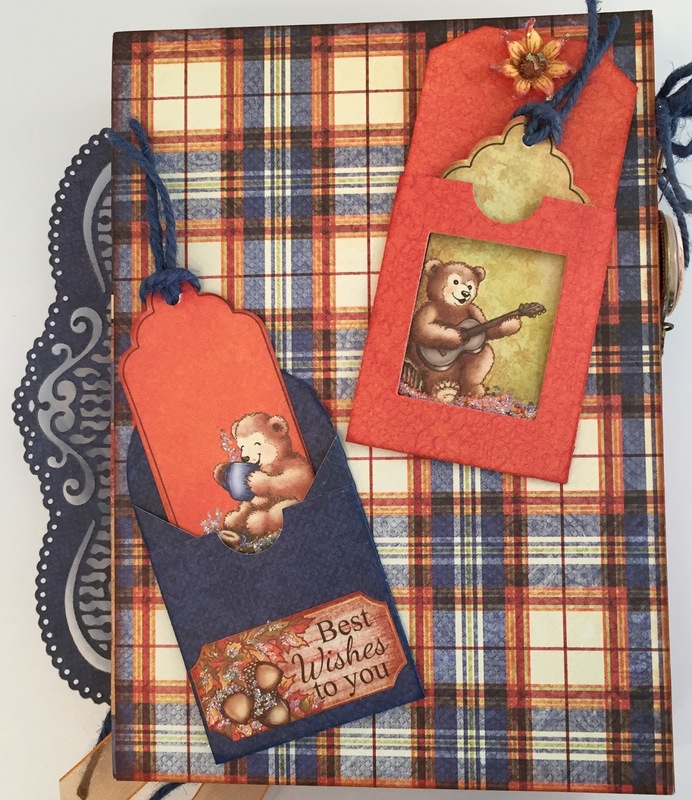 Stamp all the bears and the fire with Rich Cocoa ink on white cardstock and color with the Zig Clean Color Real Brush Markers. Stamp the house, mailbox, sunflower accents and the grass with Tuxedo Black ink and color with a combination of inks and Zig Markers. 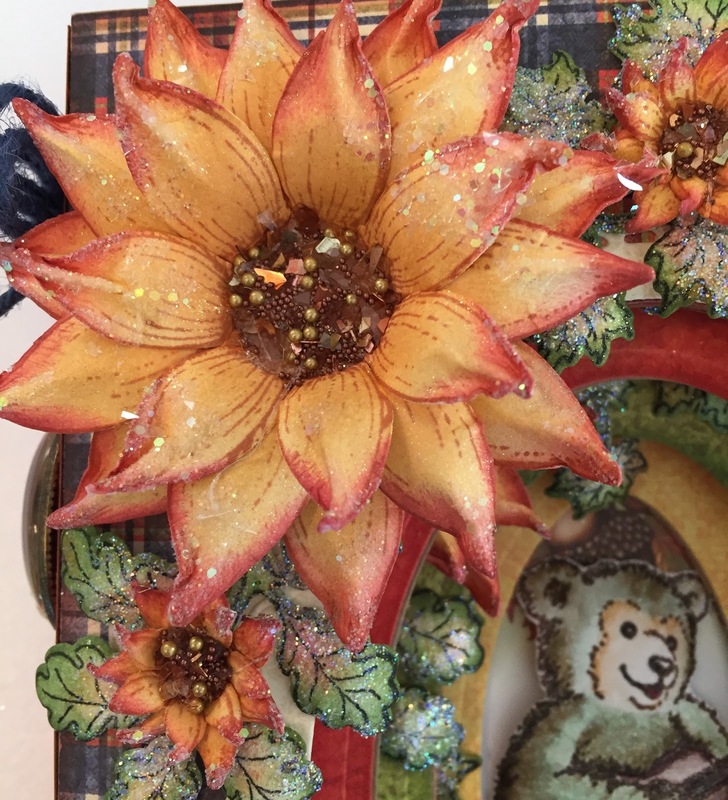 Stamp the Sunflowers with Potter’s Clay and color with Harvest, Peanut Brittle and Rhubarb Stalk using Stack And Store Daubers. Shape everything using the Deluxe Flower Shaping Kit, spray with Sparkle Sheer Shimmer Spritz, add Brown Gala Glitz to the flower centers, and Mini beads to the centers of the sunflower accents, glitter everything and adhere to the pages as shown with hot glue gun. 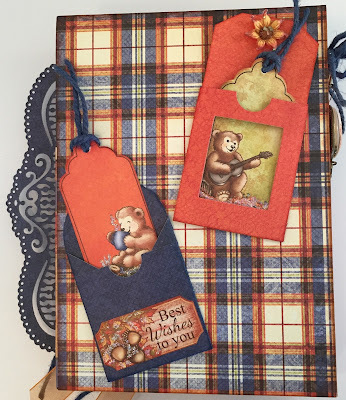 Cut the tags and sentiments from the paper collection using the Luggage and Tags Die, add glitter and adhere. 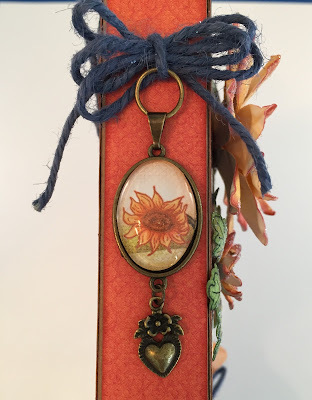 Cut a small sunflower from the paper collection and make a charm for the spine of the card, make a small blue jute bow and attach the charm to the bow. Make a triple loop orange bow and a triple loop blue jute bow and adhere them to the front. Cut an A2 card front from the paper pad, cut out the oval, adhere the card front to the inside back cover and adhere the oval in the center with dimensionals. Adhere the envelope pockets with tags to the back of the card. That's all for today! Thank you so much for stopping by and I would so appreciate it if you were to leave a comment. Wow, oh Wow! This is stunning! 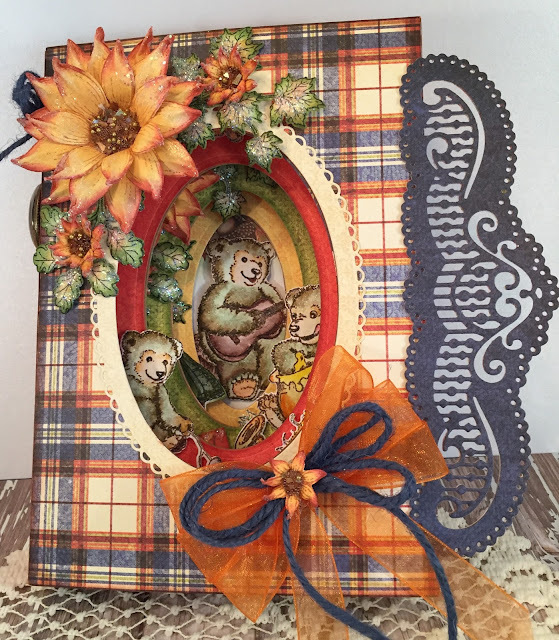 This layered card turned out absolutely beautiful, Janet! Your sunflowers are amazing! Well done! This is just gorgeous Janet!! I so love this as a tunnel card!! Beautiful job my friend! Wow - this is amazing - love it all and especially the spine with the elements on them. 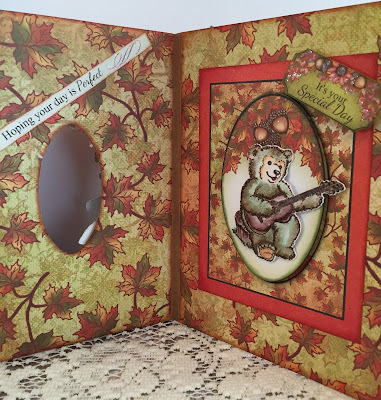 Heartfelt Creations Hoping your day is Perfect!